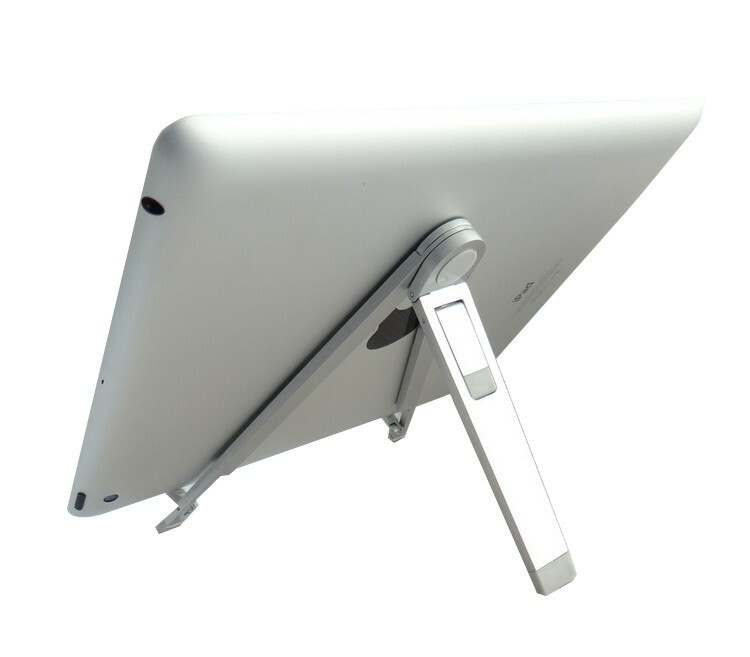 Metallic 3 leg adjustable device stand for multiple purposes. Easel positioning. Can be used for tablets, books, etc.